RELM Wireless and IPMobileNet recently entered into a “teaming agreement,” through which the companies will cross-market each other’s products to public-safety, government and industrial radio users. RELM’s product line is focused on land mobile radio products including the BK Radio brand that includes the DPH series of Project 25-compliant digital portable radios. IPMobileNet specializes in integrated wireless mobile voice and data communications delivered using Internet protocol-based architectures. In other news, RELM announced its board of directors has unanimously rejected an unsolicited stock-for-stock merger proposal from Wireless Age Communications, saying that a merger was not in the best interests of RELM’s shareholders. “We believe that the best interests of RELM and its shareholders will be best served by the company remaining independent and pursuing the strategy already in place for enhancing future growth and profitability,” said RELM Chairman George Benjamin in a letter to John Simmons, CEO of Wireless Age Communications. Also, The Roosevelt Hotshots, an elite team of forest firefighters based in Fort Collins, Colo., will field test RELM Wireless’s DPH Project 25-compliant digital portable radios during the 2004 fire season, the company said. The City of Chicago lost its 911 emergency call center for about one hour recently due to a power failure, the Chicago Sun-Times reported. Calls were rerouted to the city’s 311 Center, but “a handful of calls were missed,” according to a spokeswoman for the 911 Center. One of the calls that was missed was a call from a health care facility “to report a man who threatened to kill agency workers,” the paper said. (The threat wasn’t carried out, according to the Sun-Times.) Callers that did get through to the 311 center encountered delays because “there are fewer call takers at 311 than at 911,” Ron Huberman, 911 Center director told the paper. He added conditions were near normal abut an hour after the changeover to the 311 center, once 911 center call takers and dispatchers were redeployed. At that point, calls were being answered within three rings instead of the normal one ring, the paper reported. Chicago’s 911 center handles about 18,000 calls per day, with about 70 calls coming in the first few minutes after the power outage, the Sun-Times said. General Dynamics recently announced it has been awarded a $295 million contract to develop small, lightweight software-defined radios that eventually will be used by all branches of the U.S. military. The contract could be worth more than $1 billion through 2011 should all options be exercised, the company said. The JTRS Cluster 5 (Joint Tactical Radio System) series of products initially will include three device types — a power-efficient “manpack,” handhelds and small-form-factor applications — though as many as 14 applications or form factors could be developed under the contract, General Dynamics said. The company said it would lead the development of common hardware and software elements and manufacture some of the radios that will be delivered. Motorola announced it has won a $329 million contract from the Commonwealth of Virginia to design and deploy a statewide VHF digital trunked communications system that will carry both voice and data transmissions. The system will be deployed in seven phases, the first of which will serve central Virginia and is slated for completion in late 2005, according to Motorola. The company projects that the entire project will be completed in 2009. The Statewide Agencies Radio System network will consist of 130 land mobile radio and digital microwave sites to connect LMR, mobile data, telephone and “alarm and control” networks. Each city and county government will have at least one interoperability connection to the system at no cost, Motorola said. In related news, The West Virginia Division of Natural Resources recently completed the installation of a $2 million Motorola ASTRO digital communications system. The system was purchased last fall using funds from the State of West Virginia’s Hunting and Fishing License Fund. In other news, Motorola announced second quarter 2004 GAAP (generally accepted accounting principles) earnings of $800 million, a substantial increase over the $112 million reported for the same quarter one year ago. Three Colorado police departments — in the cities of Lakewood, Greenwood Village and Westminster — have implemented Padcom’s TotalRoam mobile data software, the company announced. The Lakewood police department uses two commercial carrier networks plus its own Wi-Fi network, to provide coverage over the city’s 47 square miles; TotalRoam enables the department’s 270 patrol officers to continuously access car-to-dispatch and car-to-car messaging, the company said. The Greenwood Village police department is using the software to provide roaming capabilities to enable the integration of Wi-Fi into its existing wide-area network, Padcom said. Industrial Telecommunications Association President and CEO Laura Smith has left the organization. ITA Senior Vice President Andre Cote confirmed Smith’s departure, but declined to comment on the reason. Another source said Smith’s departure stemmed from “an internal matter” with the ITA board of directors, but didn’t know whether Smith left voluntarily or was pushed out by the board. ICOM America recently filed a petition with the FCC urging the commission to reallocate unused spectrum at 150 MHz for public-safety applications. The company said the unused spectrum currently is allocated to the paging industry, which is becoming obsolete due to advances in personal wireless communications. As evidence, ICOM pointed to two 150 MHz auctions conducted by the FCC, during which 1700 licenses failed to be purchased, even though they could have been had for as little as $350 each, the company said. A wireless Internet service provider operated by the City of Chaska, Minn., has begun operation of a metro-scale Wi-Fi network developed by Tropos Networks. The wireless broadband network operated by chaska.net covers 16 square miles and provides symmetrical data rates ranging from 1 Mb/s to 3 Mb/s, with unlimited mobility, according to Tropos. The network utilizes 186 Tropos 5110 Wi-Fi cells and an outdoor-optimized wireless mesh router based on the 802.11 standard. The Societe des Autoroutes Paris-Rhin-Rhone, which operates about 1400 miles (2200 kilometers) of highways in France, has awarded a contract to Nokia to upgrade its legacy analog wireless communications systems with a TETRA digital system. Terms of the deal were not disclosed. Mobile wireless data provider Digital Dispatch Systems recently announced it has signed a letter of intent to purchase all outstanding shares of Maddocks Systems, a private software solutions firm that serves the transportation and logistics industries. Under the terms of deal, Digital Dispatch will pay $10 million in cash and stock for Maddocks, which claimed 2003 revenues of $8.5 million and a profitable balance sheet so far this year, according to Digital Dispatch. A portion of the cash will be used to pay off all of Maddocks’ outstanding debt. The letter of intent is non-binding and is subject to due diligence by Digital Dispatch. The transaction is expected to close on Sept. 17. 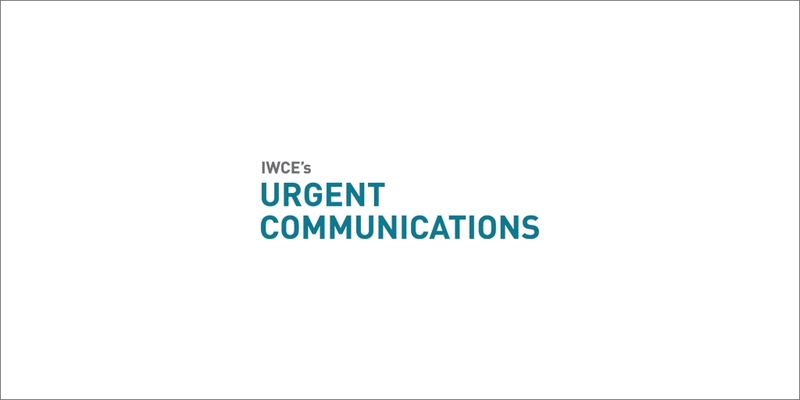 The Association of Public-Safety Communications Officials International recently announced that the Fairfax County Public Safety Communications Center in Annandale, Va., is utilizing the association’s Emergency Medical Dispatch Program. The EMDP is a system of medical pre-arrival instructions that call center personnel provide to callers while waiting for first responders to arrive. In other news, APCO announced that 24 individuals would receive $1000 scholarships that they can apply to training and education in order to further their careers in public-safety communications. The scholarships can be applied to all classes offered by the APCO Institute and the APCO Virtual College, to cover tuition, books and other registration costs. In addition, up to $500 of each award can be applied to travel expenses associated with attending APCO’s annual conference. For a complete list of recipients and more information on the scholarship program, visit www.apcointl.org. The Yankee Group estimates that manufacturers will spend about $2 billion on radio frequency identification (RFID) tags and another $1 billion to $3 billion on infrastructure over the next three years. The largest portion of the infrastructure spending will be allocated to consultants and system integrators, the firm said. The growth of RFID will impact about 4 million jobs by 2007, as some jobs will be lost while others will transition from “the mundane to value-added positions,” the firm added. While acknowledging the benefits of RFID technologies concerning inventory control, faster checkout at retailers across the country and — potentially — the war on terrorism, U.S. House members recently expressed concern that the privacy rights of consumers might be compromised unless precautions are taken. In a House subcommittee hearing, Rep. Joe Barton (R-Texas), noted the ability of sellers or their agents to track RFID-tagged products bought by consumers, which he said “raised questions about how to ensure the privacy rights of buyers.” Representatives from Wal-Mart, Proctor & Gamble, Massachusetts Institute of Technology, American Civil Liberties Union and Electronic Privacy Information Center testified.